Beehive fences can help improve human-elephant coexistence. When people cultivate food crops on or near wild lands it can be assumed that wild animals will eat them – what’s known as crop-raiding. Farms in the vicinity of protected areas can expect to be visited by a range of wild animals including birds, rodents, and large mammals like monkeys, bushpigs and elephants. Because of their size, elephants are the most conspicuous crop-user and may, in addition to eating crops, trample farmers’ fields and break fences. Using nonlethal ways to deter elephants from farms is the most humane and effective defence long-term. But elephants are still being shot and killed, particularly if they threaten people or property. Given that elephant numbers are dwindling, creative solutions need to be found to reduce crop losses and improve the chances of elephants and people coexisting. Over the past eight years we have been trying to do just that. We have been collecting data on elephants – their consumption patterns and their impact on crops at a forested site in southern Tanzania. And we’ve been working with farmers to try and design ways of keeping elephants at bay. After some failures, we imported an idea from Kenya – beehives. After five years of study we’ve published our results which show that there is indeed merit to installing fences made up with beehives to keep elephants from eating, and destroying, farmers’ crops. One method farmers tried to adopt involved collecting and soaking elephant dung in buckets of water and spreading the fibrous mixture across their fields. The basis of this interesting idea was that elephants are coprophobic – they don’t like their own poo – and will avoid eating crops covered in their own dung. We were unable to test the effectiveness of this approach because Udzungwa Mountains National Park introduced new rules in 2011 that banned people from collecting firewood as well as non-timber products such as elephant dung from the park. Farmers then tried chilli-oil. Cloth, soaked in used motor oil and powdered chillies, was then attached to rope fences. But heavy rains in the Udzungwa Mountains meant that the mixture had to be reapplied regularly. Beehive fences can help reduce elephants’ damage to crops. Next we looked to our neighbours for a solution – beehives. These were being used in elephant conservation field programmes in Kenya and the practice was spreading to other African countries and also to Asia. Using beehives at our site involved installing a fence between the park boundary and farms. The beehives are connected with a wire. When elephants attempt to enter fields they disturb the wire which causes the hives to swing. This in turn disturbs the bees inside the hives. Our initial short 500m fence of 50 hives was eventually extended by 600m and 87 hives four years ago. Our findings after five years of study show that there’s promise in the approach. Our main finding was that the probability of elephants damaging crops was less with the construction of the short beehive fences, and even lower when the fence was extended. We also found that as more hives making up the fence were inhabited by bees, the more elephants stayed away. Elephants breaching the fence where hives were empty. Of the 133 fence breaches, nearly 70% were between empty hives. Not mending damaged fences promptly. Elephant bulls visiting farms at night, when bees are relatively less active. The beehive fence didn’t completely eliminate elephants entering farms. But it did reduce the number of elephant visits and was well-received by farmers. Another indicator of success was that farmers stopped calling game officers to shoot problem elephants. Farmers also formed and registered a cooperative group to manage the beehive fence and honey harvests. The use of beehive fences is beginning to spread across southern Tanzania. And government has recently advised that beehives be used to deter elephants from crops around the Serengeti, in northern Tanzania. Next steps should involve standardising how sites employing this method are monitored and evaluated. This could help determine the minimum effective fence length and optimal placement of beehives. Other lessons could be learnt that might be replicated in new sites. 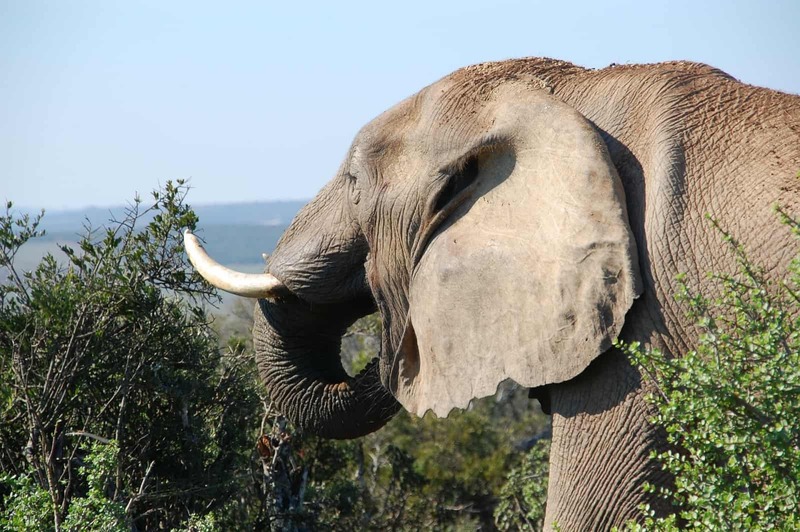 For example, unoccupied – or dummy hives – have been shown to be effective but presumably only if elephants have already developed a negative association with occupied ones. Finally, researching the differences in the relative nighttime activity of both elephants and honeybees across sites could also help explain differences in outcomes and inform best deterrent approaches and improvements. Our programme has already pioneered the use of camera traps to monitor elephant activity and identify crop-using individuals in the vicinity of beehive fences. These could be used at other sites too.